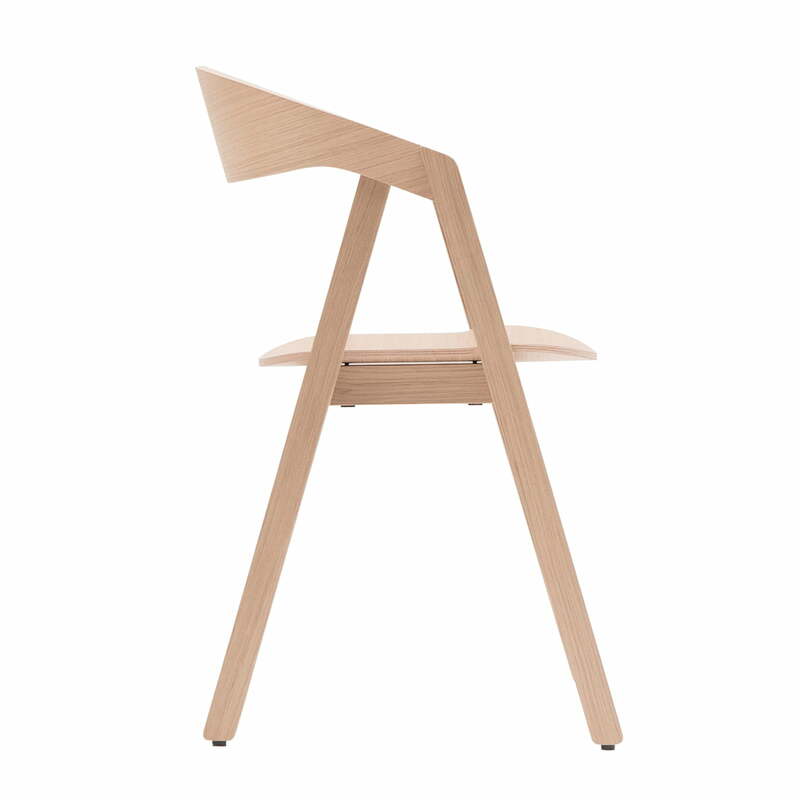 The Nardo wooden chair by Maigrau reminds of the the archetypal design of the folding chair. 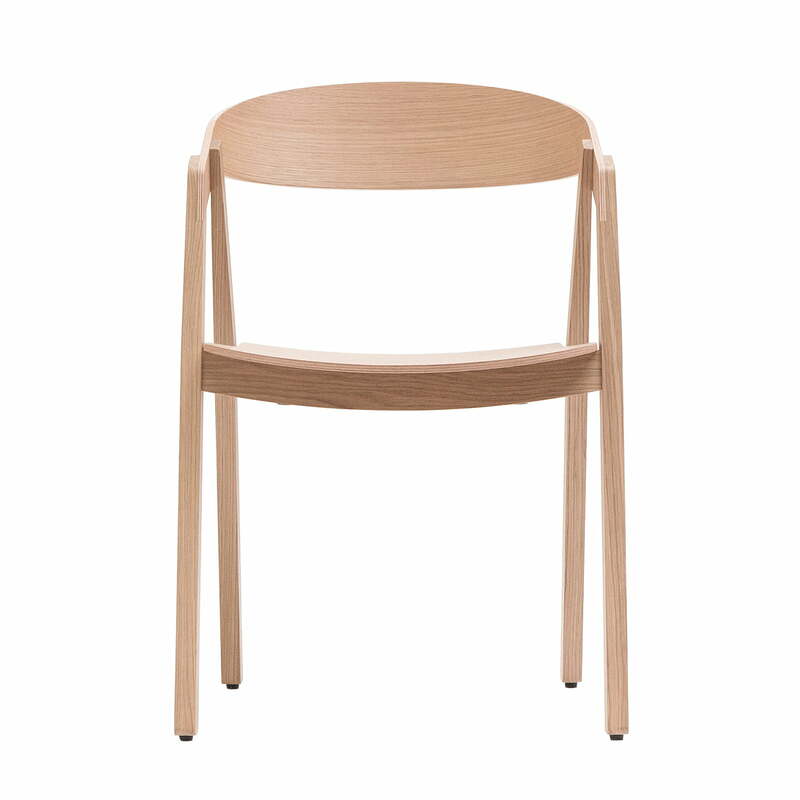 In collaboration with the designer Alexander Gufler a light-footed Chair emerged from oak with a technically sophisticated construction. 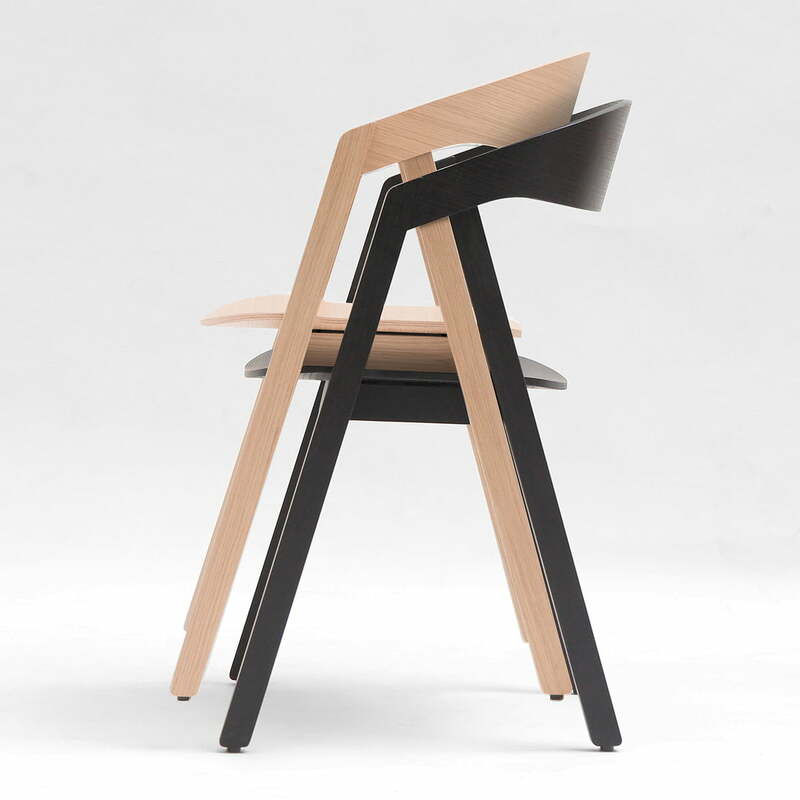 The Nardo chair follows a formally strict and reduced design and thus combines the properties of a simple folding chair. 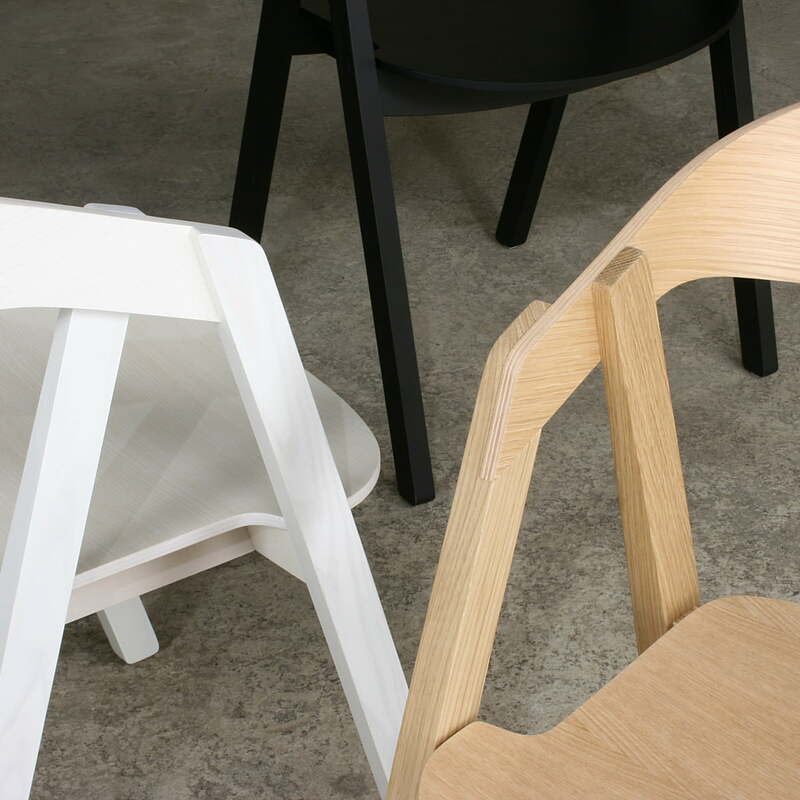 Fine details and the technical execution emphasise the high quality design. 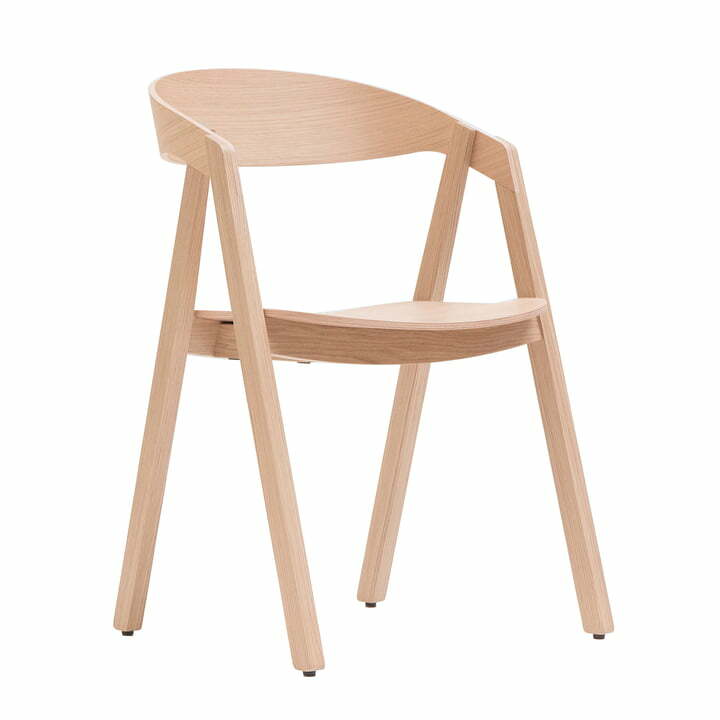 The Nardo wooden chair is despite his role model not collapsible, but instead it is stackable and therefore also particularly space-saving. 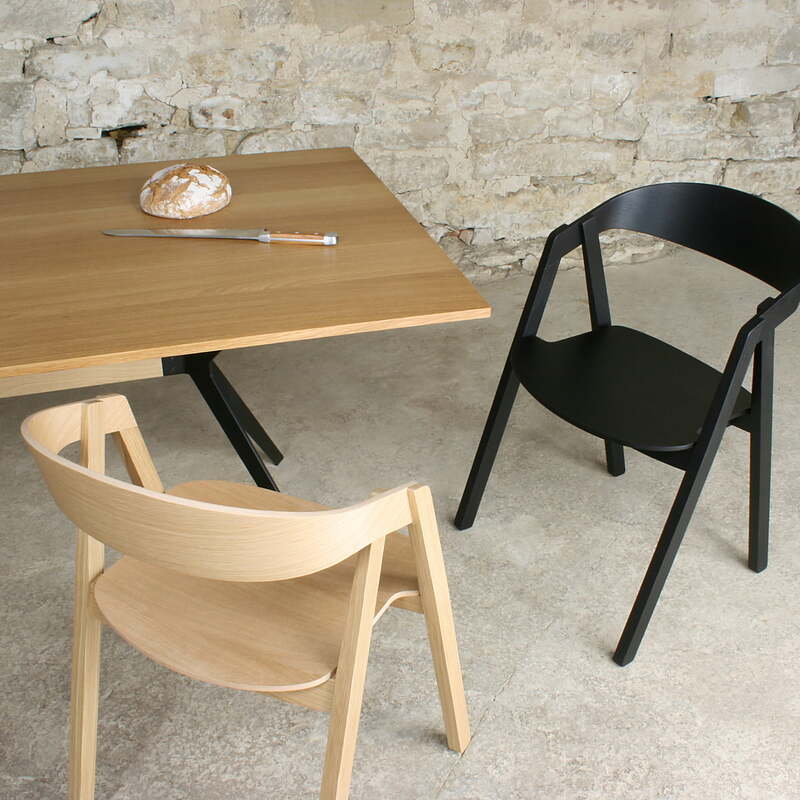 Therefore it is not only a chair for the dining table at home, but it is also suitable in the object-related field. 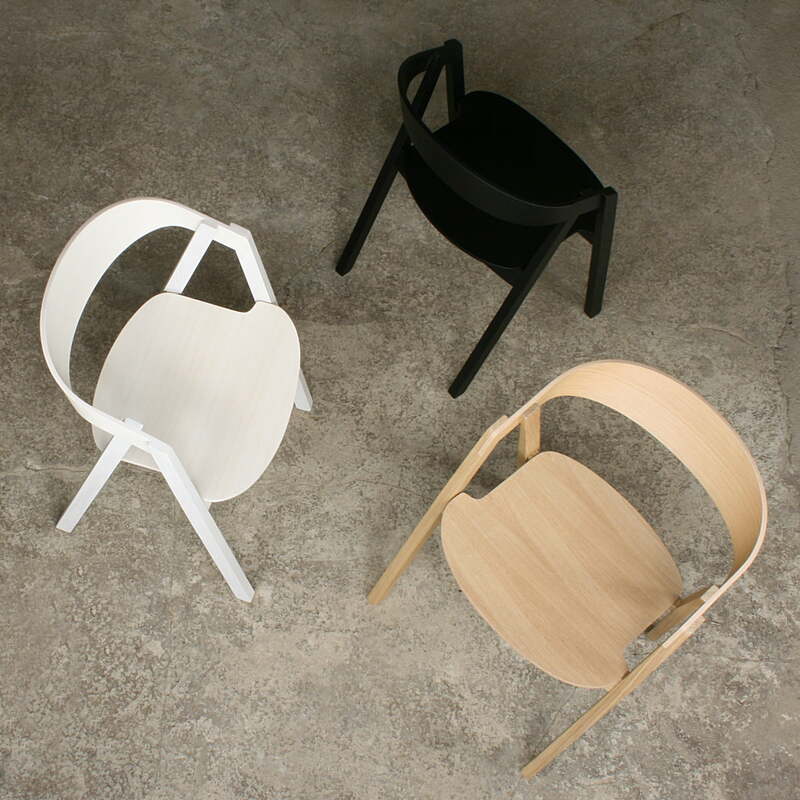 The Nardo wooden chair by Maigrau made of solid oak wood, which is also available in natural, white lacquered and painted black.